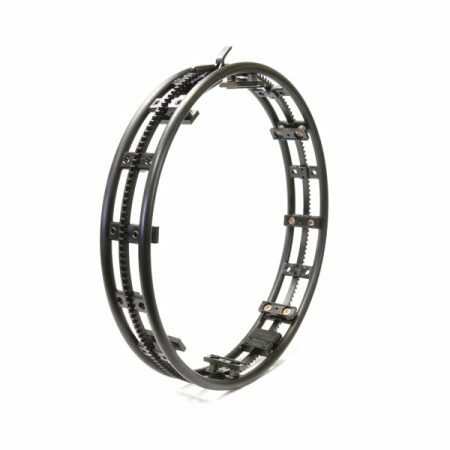 The HELIX® M45 is the second innovation to our HELIX® M Series orbital weld heads. Just as the HELIX® M85 weld head, the HELIX® M45 weld head is designed on the Power Wave® platform for advanced / multi-process capabilities. 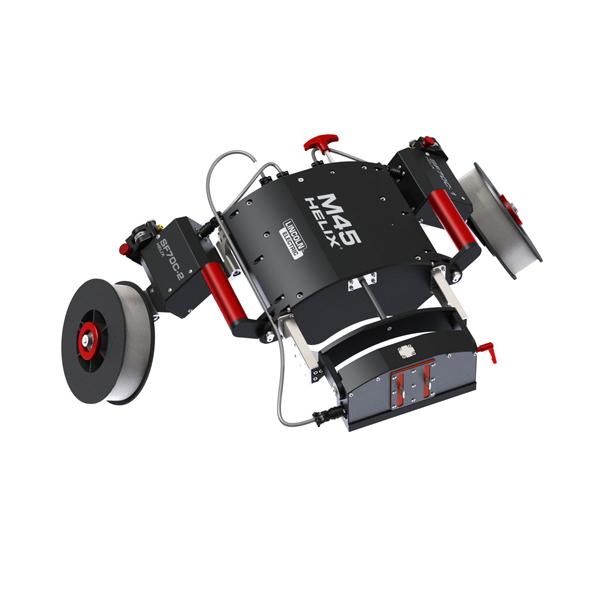 It embodies all of the same features, functions and ruggedness as the HELIX® M85, but in a low profile package. With a radial clearance of 4.5″ (114 mm), The HELIX® M45 Weld head will easily allow welding in areas with physical constraints. 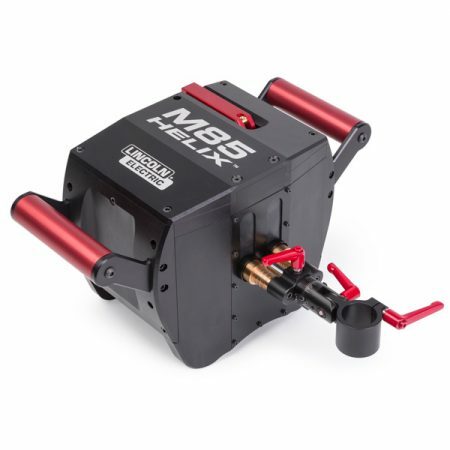 The HELIX® M45 weld head is capable of GMAW and FCAW weld travel speeds, but has the precision and accuracy needed for GTAW, Hot Wire GTAW, and Laser operations. Repeatable welds and operations are the key in orbital welding and the APEX® / HELIX® system was engineered for exactly that. 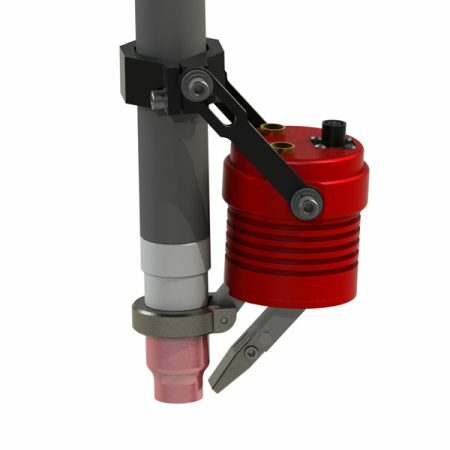 To further advance repeatability, the HELIX® M45 weld head incorporates an inclinometer to allow automatic weld parameter changes based upon the torches position on the pipe. Intuitive ergonomic design offers tool-less adjustments from a color scheme of knobs and handles, and mounting the weld head to a flat track or a track ring has never been easier, because we took the color coding onto the latch and clutch handles as well. The digital platform, like the HELIX® M85, automatically calibrates the motion axes of the weld head, requiring no manual intervention from the operator. Our digital platform offers many advantages to the system and the operator by simplifying troubleshooting–either a Go or No-Go type tests; lightweight and cost effective cabling, and allowing the system to be upgradable for future feature and technology enhancements which will extend the life of the system and minimize product obsolescence. The HELIX® M45 is well equipped incorporating a 2″ (51 mm) torch height stroke length and a 5″ (127 mm) oscillation stroke length. Extended stroke lengths are available from 5″ (127 mm) to 15″ (381 mm) for the torch height stroke and up to 24″ (610 mm) for the oscillation stroke length. Optional On-board wire feeders are available for GMAW / FCAW and GTAW welding applications. These wire feeder modules and other available modules make switching between different processes and applications quick and easy. 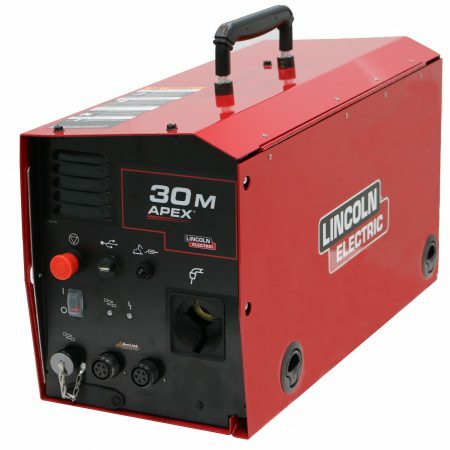 All of this is achieved while still providing rugged and reliable welding equipment that you have come to expect from the welding experts of Lincoln Electric.